CAS was first established as a foundation in 1989 by the Norwegian Academy of Science and Letters (DNVA). The Centre opened three years later, and has since hosted more than 75 research projects and 1,100 fellows from all disciplines. Hernes described an education and research system drained of creativity and curiosity by a bothersome level of bureaucracy, the weight of the academic teaching load, and an ever-growing emphasis on the ‘usefulness’ of research. The system didn't just need more funding for fundamental research, he argued; it needed to set its sights higher. In 1987, Hernes was asked to lead a Royal Commission on reorganising higher education and research in Norway. Inspired by his experience at the prestigious Center for Advanced Study in the Behavioral Sciences (CASBS) in Palo Alto, California, Hernes envisioned the potential to establish a similar institution in Norway. The Royal Commission submitted its report in 1988. Two years later, Hernes was named Minister of Education, Research, and Church Affairs, a position from which he could make his idea for a Norwegian Centre for Advanced Study a reality. In 1988, Hernes gave a lecture to the Norwegian Academy of Science and Letters, which was later published in the Academy's yearbook. In 1992, the Norway-America Association published a shortened version of this lecture. One is that it is a history in every way in the making -- most of the groups have worked very well, have left important contributions, and maintained scholarly exchanges since. Second: the Centre bridges the two cultures -– it has made students of lemmings interact with students of the Scriptures or students of quantum phenomena regularly meet students of ethics. Third: The ideal Abraham Flexner sought to realize by his Institute at Princeton in no insignificant way has also been made real in Norway. He wanted to make the best possible environment for free, basic research, 'untrammeled facilities for easy-going and informal work between men who had passed the Ph.D. stage, had given promise of unusual ability, and who needed now the informal contact with masters which had characterized the German universities in their golden days.' He believed that they should be exempt from all other burdens for a full-time engagement in absorbing basic research and hence needed an institutional defense for the use of useless knowledge. My guess is that those who have been at the CAS in Oslo have appreciated this place of simplicity and contentment -- being a Norwegian academic equivalent to the Arcadia which I found in Palo Alto: An almost imaginary and almost paradisal place. In the summers of 2017 and 2018, CAS hosted YoungCAS, a programme aimed at supporting scholars at the outset of their careers. YoungCAS offered a unique opportunity for postdoctoral students and other young scholars to do group-based research with colleagues from around the world during a one-week stay in Oslo. The YoungCAS-concept has been further developed, and in 2019/20, CAS will host their first Young CAS Fellows. When Per Andersen, a brain researcher at the University of Oslo (UiO), was selected to lead a CAS project in the 1990s, he initially turned down the offer due to prior research engagements. 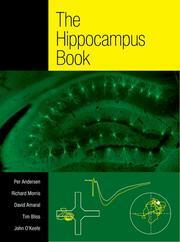 Recognising the potential of Andersen's work, the CAS Board of Directors chose to provide financial support, office space, and seminar rooms to one of his projects: The Hippocampus Book. Andersen, along with fellow neuroscientists Richard Morris, David Amaral, Tim Bliss, and John O’Keefe, enjoyed several stays at CAS in the 1990s while they worked on unraveling the secrets of the brain. The hippocampus is one of a group of remarkable structures embedded within the brain's medial temporal lobe. Long known to be important for memory, it has been a prime focus of neuroscience research for many years. The Hippocampus Book, published in 2007, offers a comprehensive account of what the hippocampus does, how it does it, and what happens when things go wrong. It is regarded as a seminal book in the field of neuroscience. CAS hopes to support more special projects in the future.